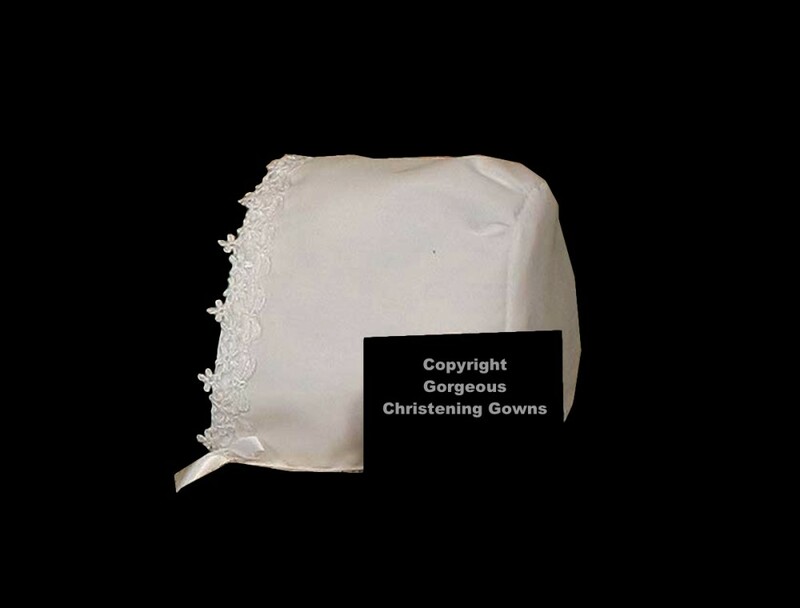 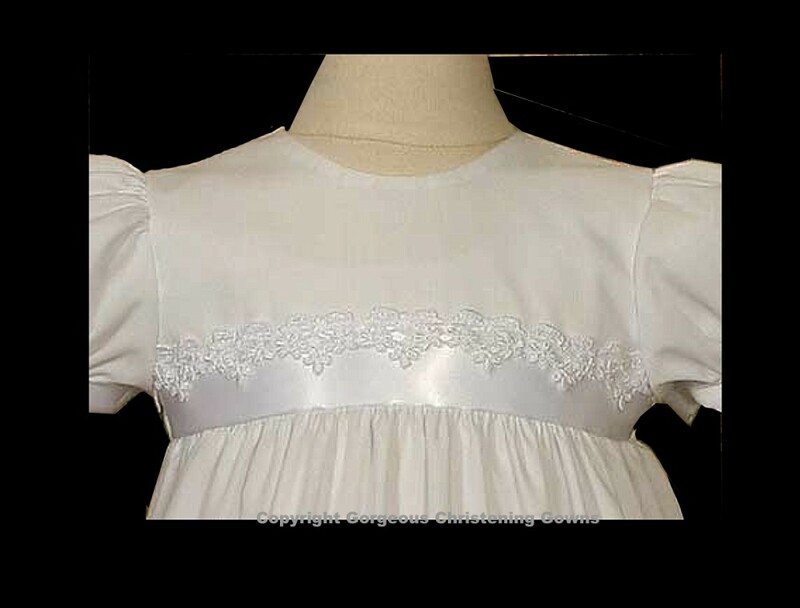 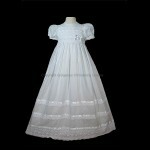 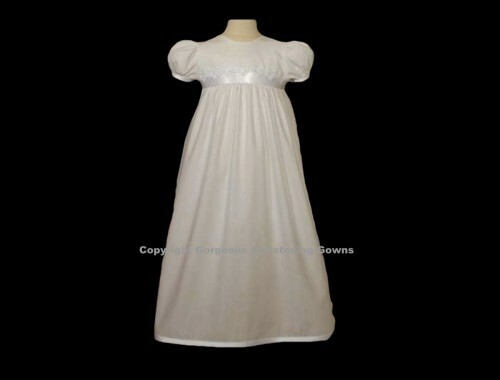 A Sweet and simple 24” traditional christening gown. 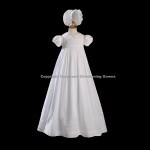 This christening gown is trimmed with a satin hem and lace and satin ornamented bodice offering a very classic and elegant look. 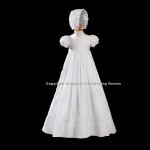 Matching Bonnet is also included.